Calista Leah Liew: My 1st Indian Occasion! When we got there we were both starved, so to fully Indianize me we had Indian snacks at a coffee shop nearby.. I like how they always use a lot of potatoes! Nyehehe.. Then on with our search! I love that the flowers are black and gold! So pretty riiiigghhhhttt?? =D And damn cheap too! RM39!! 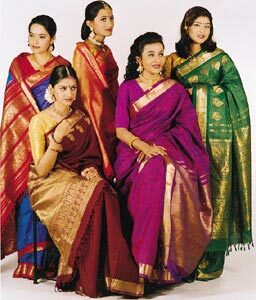 I asked Nalin about this too, as I'd previously heard that sarees cost a few hundred. She told me those were the fancier ones, for weddings etc, or designer sarees. We also bought some Indian bangles (I still want glass ones!!) and earrings, with Nalin providing me the bindi. The groom coming in with the procession. The bride being blessed.. The trays that were exchanged. Nalin explained that this is seen as an 'agreement' between the two families of the union of the two. So to end this post, I'd like to say a very big CONGRATULATIONS to MALANEE & NAVIN!!! =D I wish you a blissful marriage, and happiness, health and wealth always.. =) Thank you for inviting me to be part of your special day! 1 issue I have with indian weddings is they are awfully early. Once or twice is ok but as a photographer that shoots weddings, LOL, sometimes it does get taxing especially if there was no sleep in between from the partying the night away then heading over to the wedding. Random Food Review - Canoodling!